Pусские наследники, начиная от Павла I и до Александра III, завершив курс наук, отправлялись в путешествие. Чаще всего путешествий было два: большое – по России, чуть поменьше – по Европе. На этот раз для Николая планировалось совершенно необычное, грандиозное, морское и сухопутное турне, которое объединило оба путешествия. Причем та, и другая части путешествия, в значительной их части, должны были проходить по территории, где раньше не бывал ни один цесаревич. 1890-1891. 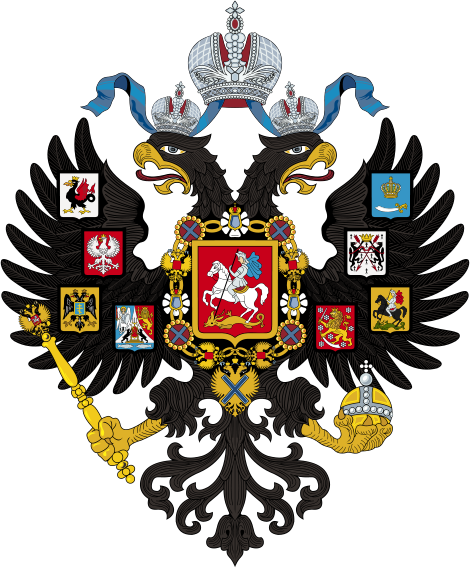 Russian heirs, starting from Paul I and Alexander III, completing the course of science, went on a trip. Most of the travels were two: large - in Russia, a little less - in Europe. This time for Nikolay, an unusual, grandiose, sea and land tour was planned, which combined both trips. Parts of the journey were to planned through a territories Russian cesarevitches never visited before. 1890-1891. Nikolai Aleksandrovich Romanov, being heir to the throne and returning from the "round-the-world" journey, visited the Transbaikal region. Nicholas II, Empress Alexandra Feodorovna in Warsaw. The Lazenkovsky Palace. Nicholas II, Empress Alexandra Feodorovna in Warsaw. Central fort. Nicholas II, Empress Alexandra Feodorovna in Warsaw. Zarechny Fort. Nicholas II, Empress Alexandra Feodorovna in Warsaw. Emperor Nicholas and Empress Alexandra Feodorovna in Paris. October 5-9, 1896. Emperor Nicholas and Empress Alexandra Feodorovna in Paris. October 5-9, 1896.- Император Николай II вместе с Императрицей Александрой Федоровной в Париже. 5-9 октября, 1896. Cherbourg. Nicholas II, Empress Alexandra Feodorovna ashore The Imperial Yacht "Polar Star". Paris. Boulevard Saint-Germain. Boulevard Saint-Germain. Visit of Emperor Nicholas II and Empress Alexandra Feodorovna to France. Emperor Nicholas II with French President Felix Faure. Exit from Alexander Nevsky Cathedral in Daru street of Emperor Nicholas II, Paris. Tsarevich Nicholas Before breakfast at the pyramids of Giza. The journey of Tsesarevich Nikolai Alexandrovich to the East. Verkhneudinsk of 1891 year. Russian ships - the frigates "Memory of Azov", "Vladimir Monomakh" and the gunboat "Zaporozhets"
The Cesarevitch is visiting the Maharaja of Benares. Russian ships - the frigates "Memory of Azov", "Vladimir Monomakh"
Officers of the cruiser "Memory of Azov". Round-the-world trip to the East Tsarevich Nikolai Alexandrovich. At the court of the Siamese King. March of 1891. On the deck of the armored cruiser "Memory of Azov". On the deck of the armored cruiser "Memory of Azov". На палубе броненосного крейсера "Память Азова". Nagasaki. Russian officers with their Japanese temporary wives. 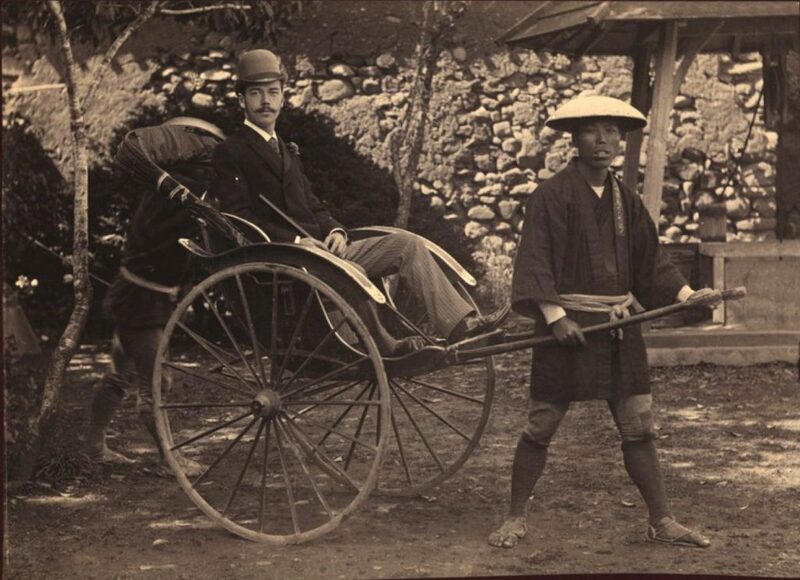 Heir to the throne Tsesarevich Nikolai Alexandrovich in the rickshaw carriage. Nagasaki 1891 year. Наследник престола Цесаревич Николай Александрович в коляске рикши. Нагасаки 1891 год.